We are honored William painted live for J. Knipper and Company’s 31st Anniversary Celebration at the Eagle Oaks Golf & Country Club in Farmingdale, NJ. 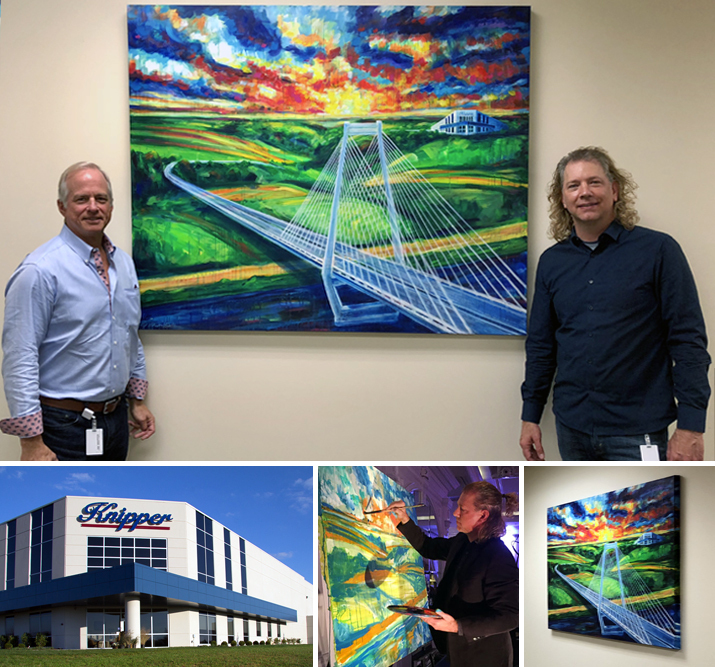 William’s finished painting was installed at one of the offices of J. Knipper & Company in Charlestown, IN (near Louisville, KY). We are so thankful to partner with Jim and Teresa Knipper as well as Michael Laferrera, Maureen Edore, and all the leadership of J. Knipper and Company.